Food safe with 1 door in beechwood, medium or small model. Food is stored for longer thanks to the wire front that offers excellent ventilation. 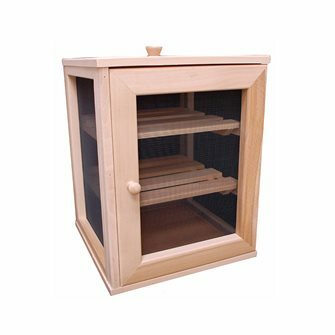 Medium size food safe with 2 racks. 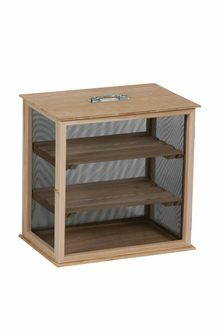 Small model food safe with 2 racks.